Huemor Designs believes in making an impact for each client. Therefore, the company offers a full suite of services as the best digital agency. Collaboration allows the agency to know its clients in-depth for the best results possible. Clients receive a responsive website that looks great and runs without issues. From there, Huemor Designs works with clients to create an effective marketing strategy. This increases visibility for clients, and then the focus turns to improving business practices. 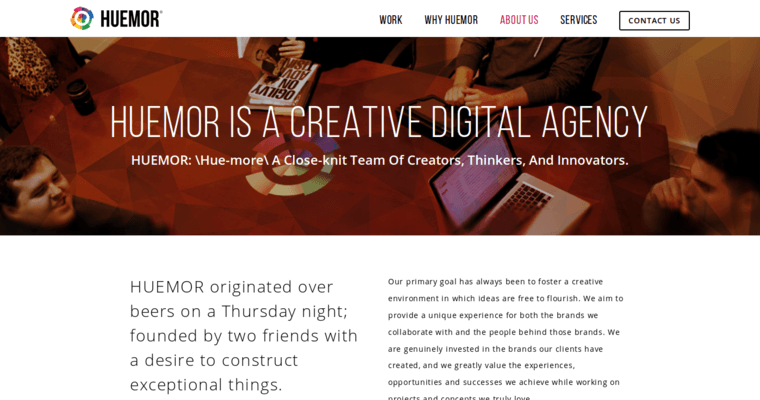 By entrusting Huemor Designs, companies can completely revamp their website and image. Flawed or lackluster business practices are addressed and then corrected, too. Huemor Designs offers its clients a complete package that produces tangible results. In the past, the agency has worked with dozens of high-profile clients with the case studies to back up its performance. Digital agencies continue to become more and more important for businesses, and Huemor is at the forefront of its industry.